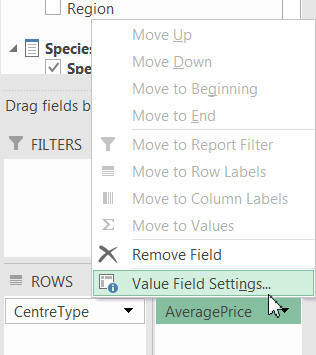 There are two ways to control how a measure's numbers appear in a pivot table: by changing the value field settings for the measure, or by changing its underlying model's Format property. 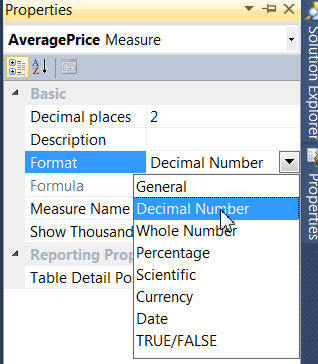 All of the examples below show how to change the format of the average price measure below to show just two decimal places. You can click on the arrow next to a measure in the pivot table field list and choose this option. 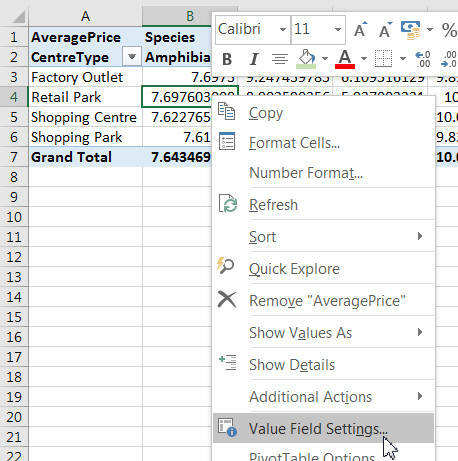 You can alternatively right-click on any single cell in a pivot table and choose the option shown. 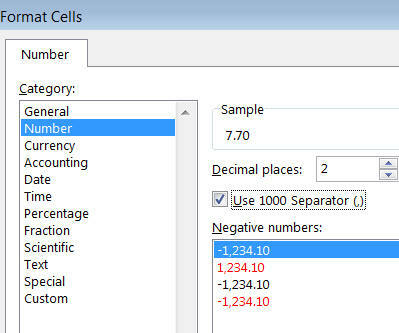 Note that although you only have a single cell selected for the second method above, it will still change the format of every statistic displayed for this measure. Click on the Number Format button at the bottom left of the dialog box which appears, as shown above. Here, for example, we're setting the numbers to display with two decimal places only. The average prices are now easier to read. Perhaps a better way to change the format of a statistic is in your model - then all client tools such as Excel pivot tables will use this format by default to display it. Click on the measure whose format you want to change (you'll find your measure in the grid at the bottom of the table to which it belongs). Here we're setting the measure to display with two decimal places. You can use the Show Thousand Separator property to divide thousands, millions, billions, etc. When you save your model and refresh the pivot table, the number formatting will update to the setting you've chosen. 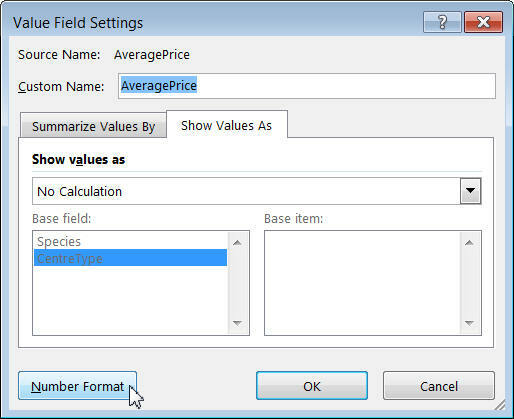 Note that if you then change the value field settings for the measure in a pivot table, this will override the measure's default format property (as you would expect). Having looked at how you can change how numbers appear, let's now widen the net and look at how you can make more general changes to the formatting of a pivot table.